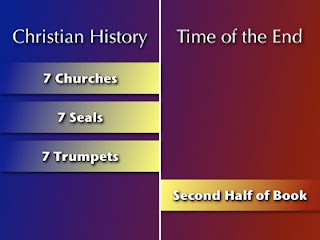 ThoughtLines: How Chronological is Revelation? 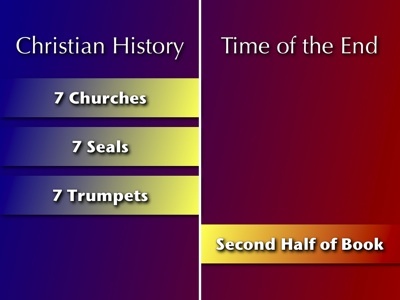 The first half of the book of Revelation contains three, roughly parallel lines of prophecy (churches, seals, trumpets), each of which spans the period of Christian history. The last half consists of a single line of prophecy covering the last days. Scattered throughout the book are brief, non-chronological, thematic interludes. But apart from those, each individual line of prophecy is basically chronological in itself. For greater detail visit The Patmos Papers.